Happy September! And what is more, happy Organic September! This year, I thought I would love to give this month/cause a lot more exposure on my blog and a lot more attention than I have in the past! I've never blogged consistently throughout a month before and while I wont be posting every day, as that is one hell of a work load, I will be posting as much as I can about all things Organic! Of course if there is anything that you would like me to write about feel free to drop me a line on email or on here or on social! Keep up to date with Organic September through social with #organicseptember and #organicbeautyweek - you'll probably be seeing lots of my posts on there! 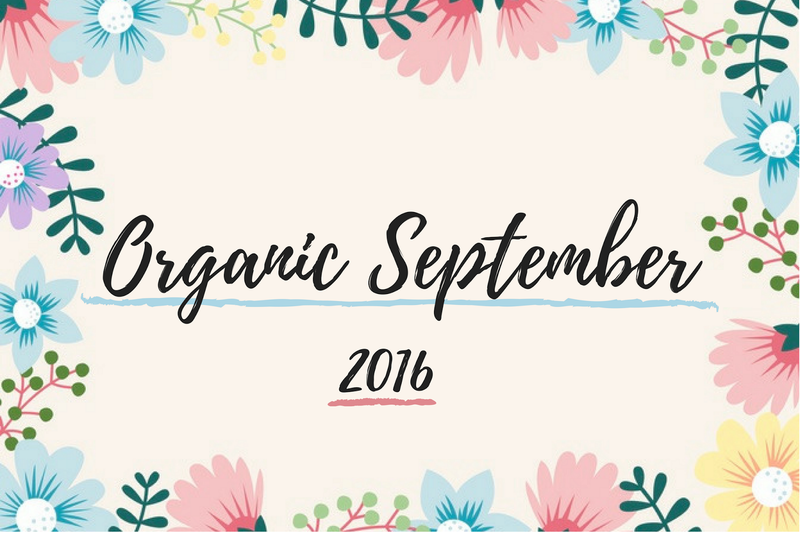 I really hope you enjoy this month of Organic Everything with me!